Play this fun integer math game to earn as many points as possible, and have a blast destroying different monsters. For each math problem solved correctly, you will enter a cool bonus round that is a lot of fun. How many monsters can you eliminate? For each bonus round, you will have 30 seconds to destroy different monsters by clicking on them. Some monsters are moving very fast and are not too easy to catch. Teachers, bring some spark into your classrooms and let your students engage in healthy competition, while sharpening their multiplication and reasoning skills. The game can be played on computers, smart boards, iPads, and other tablets. You do not need to install an app to play this game on the iPad. CCSS.7.NS.1 Apply and extend previous understandings of addition and subtraction to add and subtract rational numbers; represent addition and subtraction on a horizontal or vertical number line diagram. CCSS.7.NS.1.b Understand subtraction of rational numbers as adding the additive inverse, p – q = p + (–q). 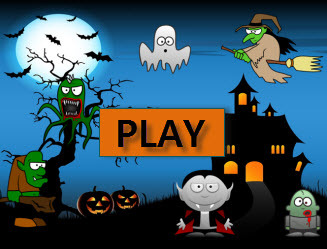 To play other exciting integer games, please visit this link. Return from the Integer Math Game to the 7th Grade Math Games webpage, or to Math Play.